Thank you so much for reviewing Chaddwell! We are thrilled to hear your feedback. Have a great day! I must say I'm very impressed with Chaddwell. I've been there for about 1 & 1/2 years and the staff is very professional and it's a great place to live. As usual the response was quick and efficient. Maintenance, under Zeke's supervision, is always done quickly and perfectly. Thank you for your feedback! We must agree- our maintenance team is the best! Chaddwell is one of the best places I've ever rented. The staff and maintenance crew are friendly and responsive. Very peaceful neighborhood and area. I love living in Chaddwell for several reasons , first being it is the cleanest and well maintained area and it is one of the best in the surroundings. Secondly the staff is very friendly and I have always got the answers for all my questions instantly. Thirdly the maintenance guys are very good, they have always resolved all our problems within stipulated time. The roads and gardens are well maintained. Fourthly the management at Chaddwell always thinks about how to get the people at the apartments together. They respect the diversity and initiate programs to make the stay more worth. Thanks to one and all. Best, Shilpa. For apartment living and comfort Chadwell is where you want to live. The administrators are accommodating and work hard. The maintenance staff is quick to respond and thorough. The location is close to everything you could want. Give Chadwell a look, you will love what you see in apartment living. We have lived here for 4 years and love it. It's in a great location, it's a peaceful community, the office and maintenance staff are friendly and helpful, and neighbors are respectful. We just signed another 15 month lease! I have been living in Chaddwell for over 6 years. I love it here! The apartments are beautiful, not to mention the entire complex. The lawns and gardens are always maintained beautifully. The staff are always very pleasant and helpful. The neighbors are all nice and it's a quiet, friendly place to live that is close to everything! I'm so glad I live here! infrastructure for these apartments are so nice and rich look. Especially community hall & gym are pretty comfortable to use. The apartment and location offer the comfort for professional like who prefers low noise environment and easy access location to work place and major highways. Besides that, there are many shops around for daily needs. I have lived in the Chaddwell community for over 6 years. The grounds are always well-kept and the community is beautiful. I love the new fitness center that was added recently and the pool/outdoor area is just lovely in summertime. The staff responds to work orders promptly and my appliances are always is perfect working order. I like having a private entrance , personal parking space and washer/dryer in my unit. For apartments, the community is quiet and I've found the neighbors to all be kind and respectful. 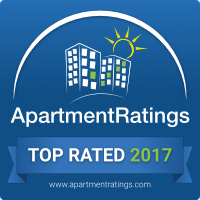 Chaddwell is an ApartmentRatings.com 2017 Top Rated award winner! This annual award recognizes properties with outstanding resident satisfaction ratings as measured on ApartmentRatings.com at the end of 2017. That is a huge accomplishment as only 5% of the total properties listed on the website qualify for award consideration! 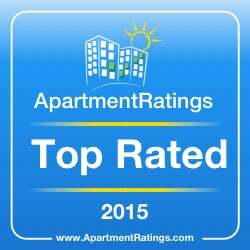 Thank you to all of our residents who have voted us as Top Rated since 2012!